This is the condensed version of Hear For You’s flagship “Life Goals & Skills Program” so instead of 4 separate sessions over 4 months, they are now running it over one weekend! This is for current deaf or hard of hearing High School students (Year 7 to Year 12). The teenagers will be grouped with peers from the same year group as them. I live outside of the Canberra metropolitan region but I would really like to attend this Blast. Can I do so? Yes, of course! 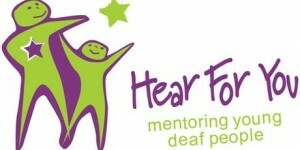 Any deaf or hard of hearing teenager is most welcome to enrol in the Blast. Every teenager gets grouped into their year group (7&8, 9&10, 11&12) and each year group will have 2 mentors (1 male and 1 female). The maximum ratio is 1 mentor to 4 participants. There are 6 sponsorship places available for this program – first come, first served!